This rang true for me because as I look at pictures of my old self and take new ones I realize that I have changed and I don't look like my old self anymore and my body is different. I am a very critical person when it comes to myself and tend to critique everything as if the photo must be perfect. We haven't taken a family photo in years because I don't like the way I look right now. I am not the size that I once was long ago and this body has gone through two vaginal deliveries, yoyo dieting, fibroids and not to mention postpartum preeclampsia and yet I am still here, but for those very same reasons I am afraid of posting any photos of myself and what I fail to realize is that I ought to be grateful for the body that I was given and appreciate how blessed I am to give life to someone else. Sometimes I wonder in this era of selfies,have we become so vain, that it is no longer cool to be who we really are. Many images we see in magazines and social media are altered or photoshopped for perfection. Celebrities post their snap backs and dont show photos of their Mommy makeovers, meanwhile our culture tends to portray a false narrative of what motherhood looks like. Anupa's photo resonated with many people because of its authenticity. The picture reminded us that it is important to show a true representation of what being a mother looks like. Anupa acknowledges that she is no longer her old self but a new version of herself, which empowers other mothers to do the same. 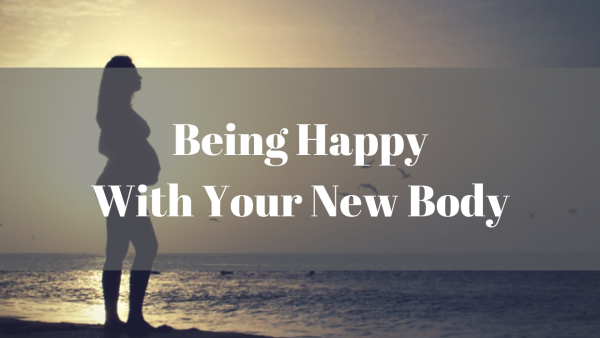 As mothers we must put the old self away and accept that our bodies have gone through a sort of metamorphosis, or change and realize its still an awesome body. We will come to a place where we don't care what other people think anymore and accept and love ourselves for who we really are. I am slowly starting to regain my confidence back. It's a process but it feels good to begin to accept myself for who I am and who I am becoming. Soon I will be posting selfies of myself with the filters and than eventually just me. It's a process!